Next up in our “showdown” testing is the Radian by the fine folks over at Scott Fly Rods in Montrose Colorado. This rod was introduced to the public in summer of 2013 and hasn’t stopped receiving hype since. 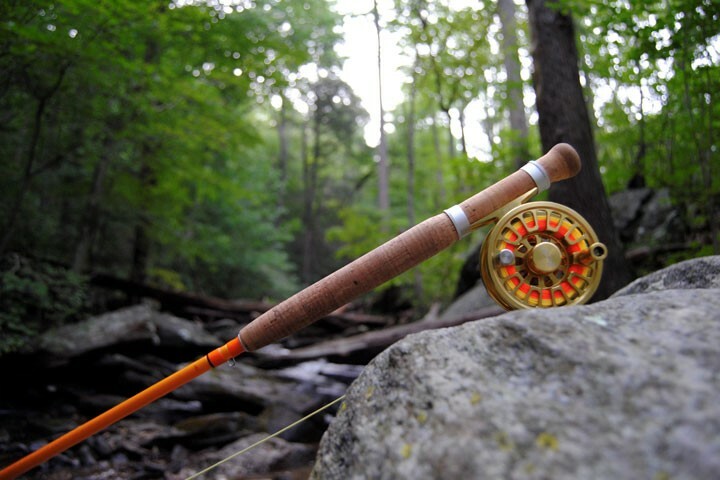 The Radian is the newest member of the Scott fly rod lineup. It is the replacement for the S4 series of rods which are also considered fast action. Unlike the S4 the Scott Radian has much more feel without losing that crisp fast action performance. Like a majority of fast action rods on the market today you will initially notice that this rod is extremely lightweight. The workmanship on this rod is the icing on the cake. The components like the reel seat and small touches like hand written inscriptions make this rod easy on the eye. Just like the first rod in our test we paired the Radian with the Orvis Encounter Series fly reel and a 5 weight Rio Gold fly line. JC: Scott markets this rod under the slogan “Fast Meets Feel”, with that being said I think that slogan is a perfect description of this rod in the range of 10 to 30 feet. Casting light tippets with the smallest of dries to those wary fish can be done at ease with the Radian. The rod loaded up nice and easy and allowed for quiet soft delivery and presentation. The rod was also extremely accurate within 30 feet but with plenty of power in reserve for longer casts. Casting this rod at 50 feet was also quite nice and enjoyable. This rod unlike the Sage Method we tested earlier had a much deeper loading point translated into much better feel and accuracy in my opinion. The crisp fast action was still apparent when laying out longer casts especially when the wind picked up a little bit. At 70 feet this rod still performed quite well even though my casting stroke had to be opened up to allow the rod to carry that much line. This rod struggled when trying to pick up a lot of line to lay it back down with one back cast in my opinion. I could see this rod struggling at this distance with heavily weighted flies. With that being said I don’t think this rod is designed to toss heavy flies at great distances like some fast action rods out on the market. Delivering dry flies would not be a problem at all. Overall if I had to describe the Radian in a few words I would say well balanced. 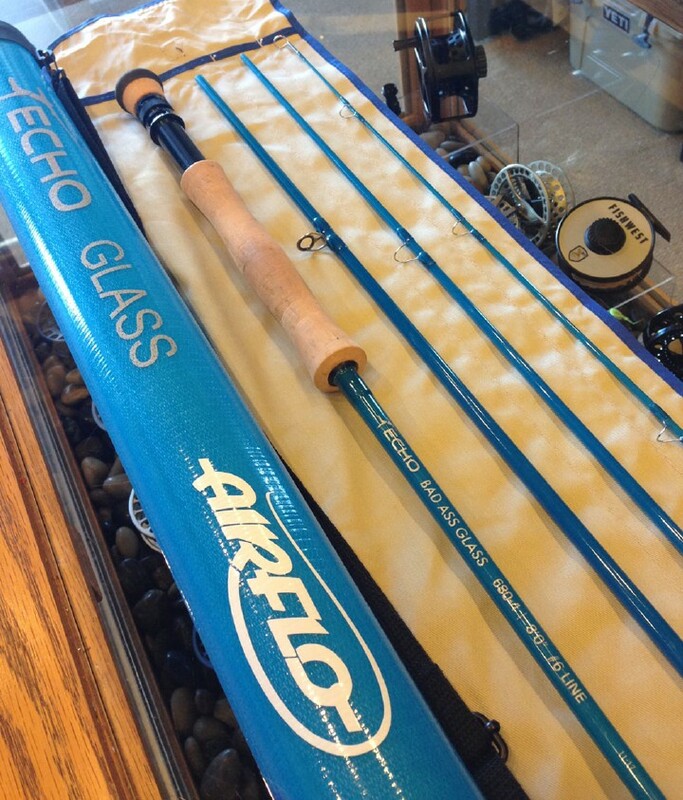 With the quicker fast action and the soft tip the rod has a lot of feel without sacrificing power. This rod has a lot of potential as a western trout rod especially in the state of Utah since our waters are on the smaller side on the grand scheme of things. This rod is serviceable in quite a variety of situations from heavier nymph rigs to tossing dries the Radian is definitely worth a look as a “do it all” 5wt trout rod. Backed up by a lifetime warranty from Scott this rod is sure to be staple in the quiver for a long time to come. Morgan: Going into this rod review, I knew I liked the Radian already. I fished this rod on the Green River during some very windy conditions and it performed well. I knew I like this rod on its own but how did it stack up against a few other high-end rods? It stacked up well. This rod can do it all and it feels right at home in any scenario. You want to fish size 18 Blue Wings to slurping browns? It will do it with presentations so delicate you’ll be hooking up with Hog Johnson in no time. You’re a streamer junkie? It will double haul meat easily. You like fishing nymphs? This rod can handle those Czech rigs and strike indicators the size of tennis balls (please don’t attempt this! Scott has a great warranty but leave the tennis balls for Federer). If I had one gripe with the rod, it would be the reel seat. The dark grey rod with a few orange accents keeps this rod looking classy and modern but I don’t think the red burled box elder fits well with the rod, just my opinion. So much fly fishing is done within 30ft and the rod can make those close casts cleanly and smoothly. Feeling this rod load up at short distances was a welcomed feeling and the recovery of the rod is just as smooth. The presentations at 30ft were delicate and soft and this rod has great tippet control in the form of feedback from the softer tip. At 50 feet, the rod could make accurate casts with little effort. 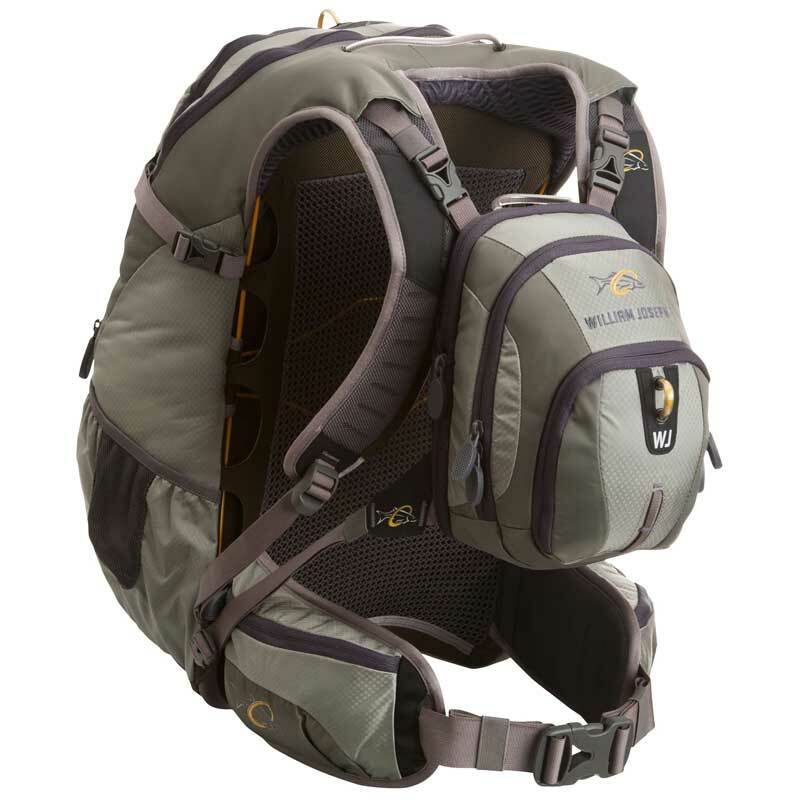 The Radian has enough backbone to pick up 40ft of line and lay your fly back out with minimal false casting. The rod loads up deeper into the mid sections when casting larger flies but and can still make the longer presentations delicately. 70ft casts were doable but your fly options are going to be limited to lighter flies at this distance. I could cast this rod 70ft but it required a lot of double-hauling and false casts to get them there. The performance of the Radian at 70ft is about what I expected from a rod that’s not claiming to be a long haul machine. 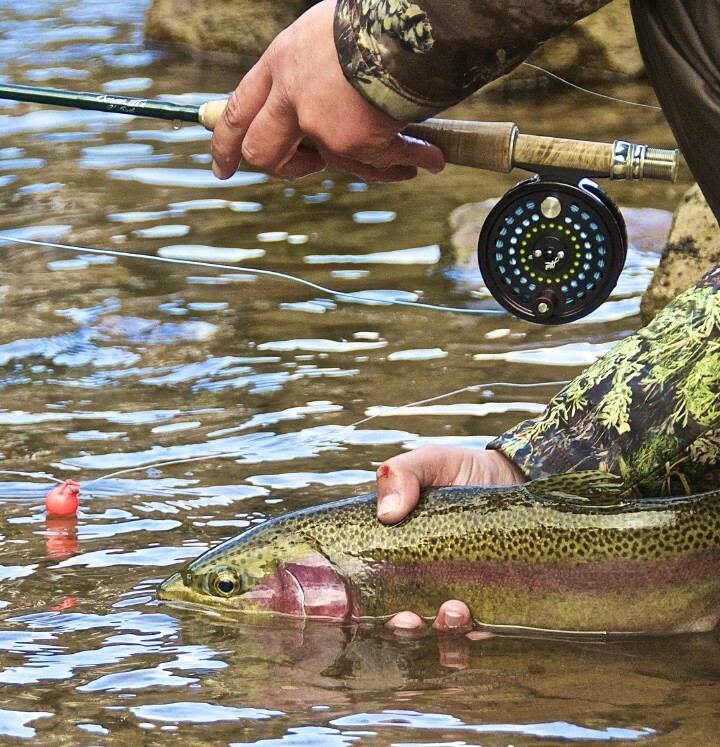 This rod will outperform your expectations from a 9ft 5ft trout rod. Many of us have a hard time justifying the high costs of high-end rods but I think this rod is so versatile and the performance is so high, that the price tag is in line with the quality of the rod. It’s safe to say I like this rod a lot.